I just picked up some tickets and info at the train station, so thought I’d list it here as well. 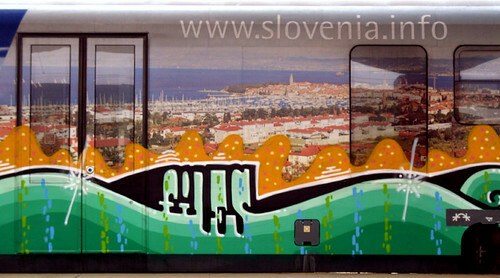 Slovenia Rail offers quite a few cheap rides to a variety of destinations. BUT it’s important to note that the number of cheap fares listed is very limited, usually six to eight seats per route, so buy early. At the moment, purchase/reservation is not available via the web; here’s a link to purchase points. Check here for couchette/sleeper surcharges. slo_train, originally uploaded by pirano. Thanks. I knew about these but it’s nice to have the info all in one place!